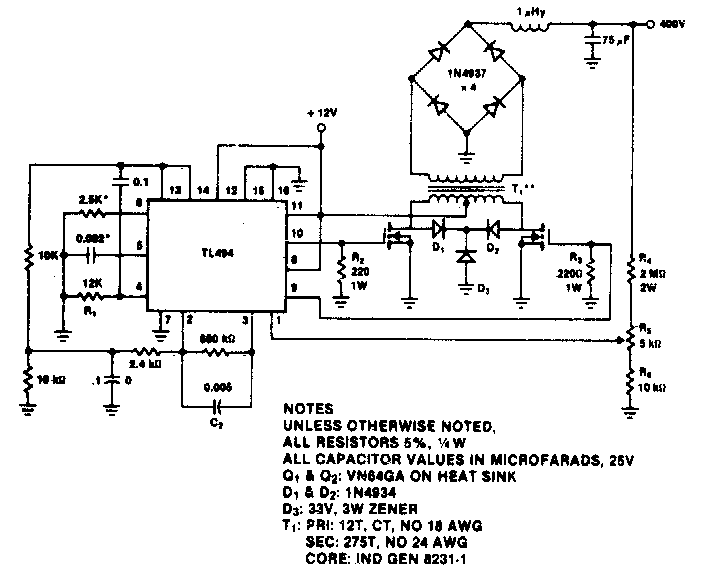 This is the simple and powerful 400V-60W push-pull DC-DC Converter Circuit Diagram. The TL494 switching regulator governs the operating frequency and regulates output voltage. Switching frequency approximately 100 kHz for the values shown. 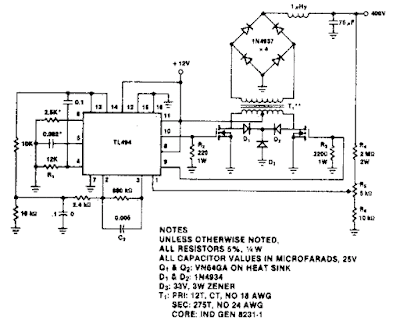 Output regulation is typically 15% from no-load to full 60 W.